The Trauma Disorders Program at Sheppard Pratt treats complex trauma-related disorders like post-traumatic stress disorder (PTSD) and dissociative disorders (DID) in a coed, inpatient environment. During the admissions process, we carefully assess all potential patients to ensure that our program and services are the best fit for you. All participants must have an outpatient treatment team (therapist and psychiatrist). You and your treatment team should know that we require you continue to work with your outpatient team after discharge. Learn more about the inpatient admissions process. When patients start in our program, we provide a comprehensive evaluation. We want to ensure our patients receive an accurate diagnosis so we can provide the right combination of specialized therapies to support your recovery. Within the inpatient unit of The Trauma Disorders Program, we emphasize safety and stability. We take great care to build a healing environment (therapeutic milieu) where every member of the community contributes to recovery. and similar topics that are likely to cause distress or increased symptoms in other patients. We provide you or your loved one with a private bedroom. We manage all patients at the least restrictive level possible for keeping them safe. If our highly skilled staff anticipates or detects dangerous behavior, they will intervene immediately. Our unit is a locked unit because of safety requirements for all patients. In general, patients will not be able to leave the unit for most, or all of, their stay. Led by Richard J. Loewenstein, M.D., our expert team specializes in the treatment of trauma victims who experience PTSD, dissociative disorders, and other disorders that result from, or are associated with trauma, e.g., depression. Our treatment team meets three times weekly to assess patients and update treatment plans. This collaboration ensures every team member has a thorough understanding of your treatment progress. Learn more about trauma therapy. 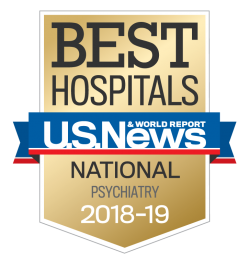 Daily meetings with the attending psychiatrist to discuss medication or medical issues and assess progress toward treatment goals in all phases of your treatment, including psychotherapy. Many of our patients, particularly those with extended hospitalization, need extra support when re-entering their community. We take great care to prepare you or your loved one for the increased stimuli you may encounter outside the unit. Before discharge, our team discusses concerns and fears with each patient and addresses the anxiety they may feel. In partnership with their treatment team, patients create a robust, detailed Wellness Plan to use in their outpatient treatment. Upon discharge, patients return to their referring mental health providers for ongoing care. To learn more about the inpatient trauma disorders unit, contact the administration office at 410-938-5070. For referral information, contact the admissions coordinator at 410-938-5078.